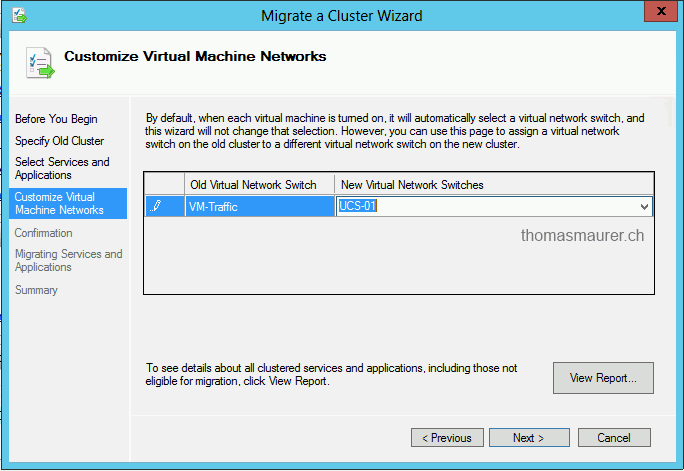 Looking forward to the SCVMM 2012 way of doing this. Nice walkthrough Tom. Any experience in doing this kind of migration with a single two node cluster using shared (direct attached storage array) storage? Thinking its more or less, move VMs to one Node, remove other from cluster, upgrade to 12, create new cluster, import, power down other node, bring online VMS on new cluster, join other node. 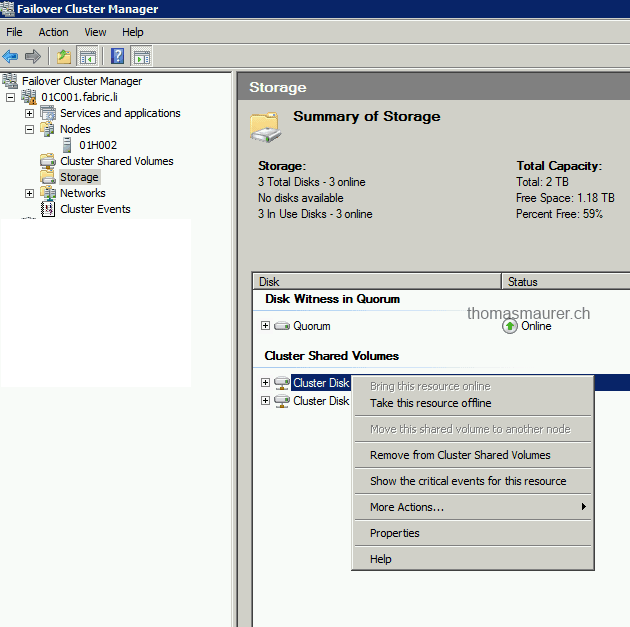 Well if you have shared storage you can also do this step with a two node cluster. 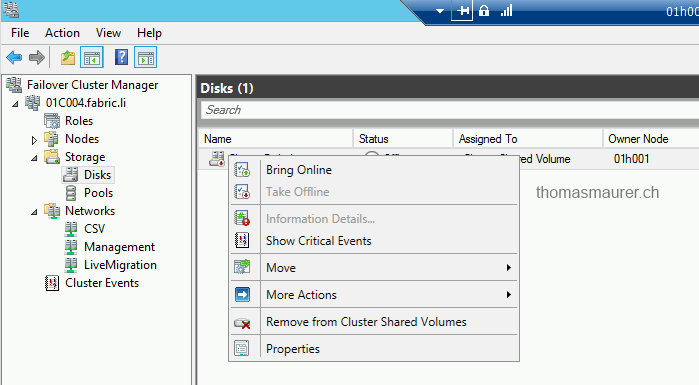 If you don’t have the shared storage on both (the old and the new cluster) its basically a copy/import of the VM. Thanks Thomas. Confirmed my thought process. Little bit more confident with move now. hast du schon Erfahrungen, wie sich per DPM 2012 gesicherte VM’s (Child Partition) bei einer Migration verhalten? Müssen in DPM die Schutzgruppen bzw. die enthaltenen VM’s neu geschützt werden oder kann man DPM dazu bringen, dass er mitbekommt das es die VM’s aus dem alten Cluster sind? 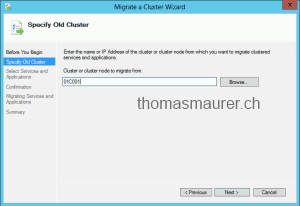 Wenn ich also die VM’s aus einem Server 2008 R2 Cluster zu einem Server 2012 Cluster migriere, bekommt das der DPM 2012 ohne weiteres mit? Oder gibt es spezielle Vorrausetzungen oder Configs? Also zwischen 2012 Hyper-V hosts mit Shared Nothing Live Migration funktionierts. Ob bei der Migration von 2012 R2 und 2012 habe ich die Gruppen neu gemacht. DPM 2012 SP1 ist natürlich voraussetzung. Die Vorrausetzung mit DPM 2012 SP1 ist erfüllt. 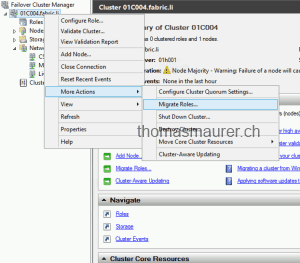 Das dies mit DPM bei einer Live Migration zwischen zwei Nodes in einem Cluster funktioniert ist mir bekannt. Die Frage bezog sich speziell auf deinen oben geposteten Artikel, ob DPM dies bei der Migration von Server 2008 R2 nach Server 2012 mitbekommt? Wenn nicht standardmäßig, gibt’s hierfür eine Lösung? 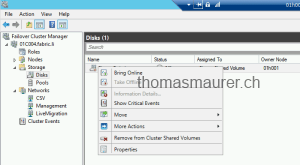 Is it possible to execute the ame steps for a cluster conating 3 vhost servers. 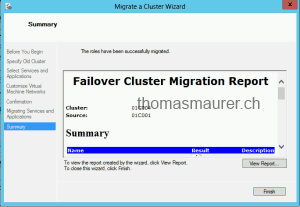 that are running cluster failover manager? We have some CentOS VM in which (inside VM) mapped LUNs from storage. Will they migrate to 2012 R2 well ? 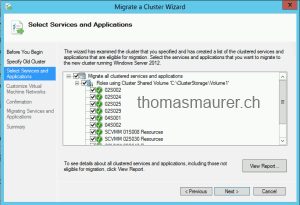 One more question – What is the best way to rollback to 2008 R2 cluster if smth will going wrong ? 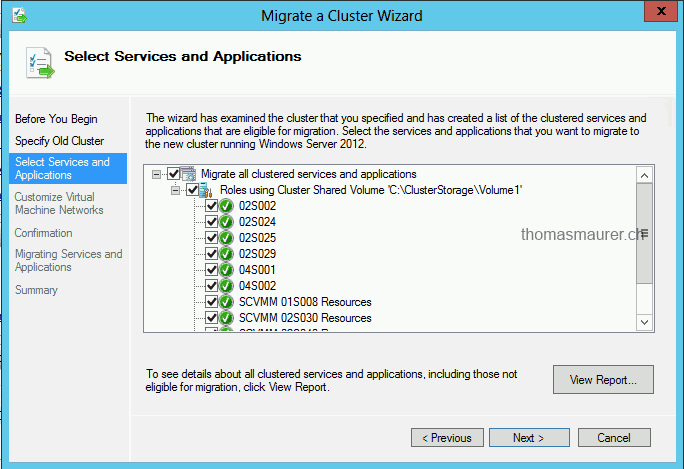 I could “Copy Cluster Roles” from Win2012 to Win2012 R2 Cluster. All VM work fine but, when I try to move live migration, VM get error “Event ID : 21502 The Virtual Machine Management Service failed to establish a connection for a Virtual Machine migration because the destination host rejected the request: General access denied error (0x80070005).” By the way if I create new VM on 2012 r2, it can be live migration without error. Could you please help me? 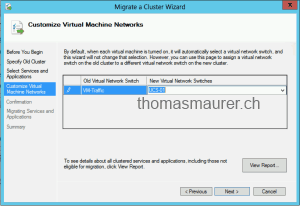 Connect to the Host where the VM is running, open the Hyper-V Manager and Migrate the Virtual Machine. hey – thanks for the detailed steps. I have read a couple articles now, but I am still unsure of how it would work with my environment..
Firstly I have a single CSV which contains 70+ LUNs and VMs, spread across 8 hyper-v 2012 hosts. 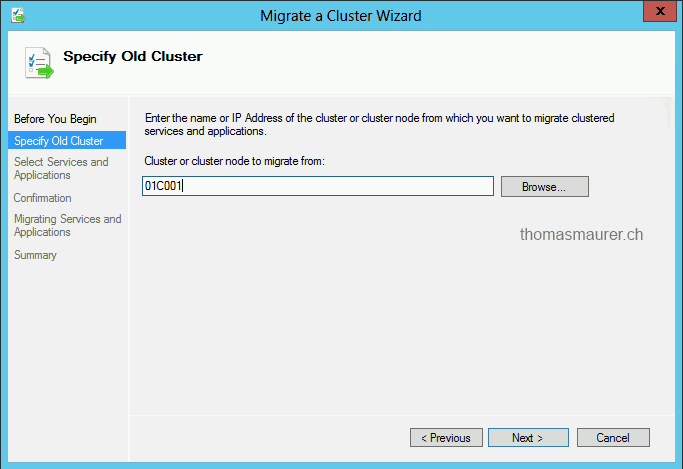 I have configured a new 2012r2 hyper-v host, configured the virtual adapters and ready to run the wizard. If I have to select all 70 roles, and ‘move’ them to 1 single new host, how will this cope with the load? Even if I evict one of the 8 hosts, and join it to my new 2012r2 cluster, I still couldn’t see how 70 roles will survive on 2 hosts?? Is my only option export/import 1 by 1? Cluster resource ‘Virtual Machine Configuration xxxxxxxx’ of type ‘Virtual Machine Configuration’ in clustered role ‘xxxxxxxxxxxx’ failed. 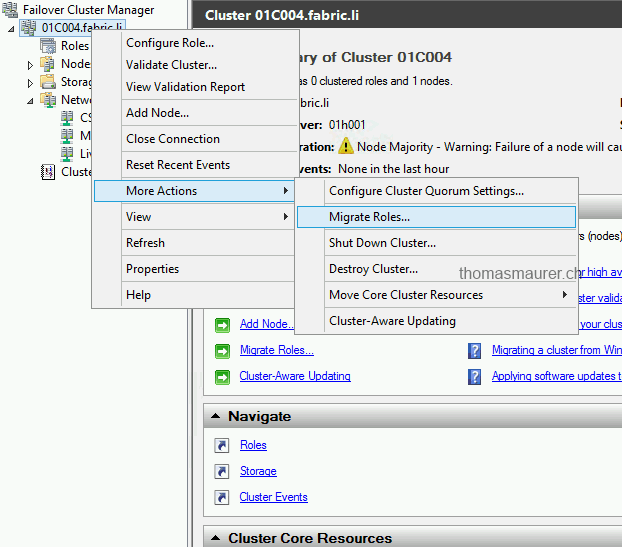 Based on the failure policies for the resource and role, the cluster service may try to bring the resource online on this node or move the group to another node of the cluster and then restart it. 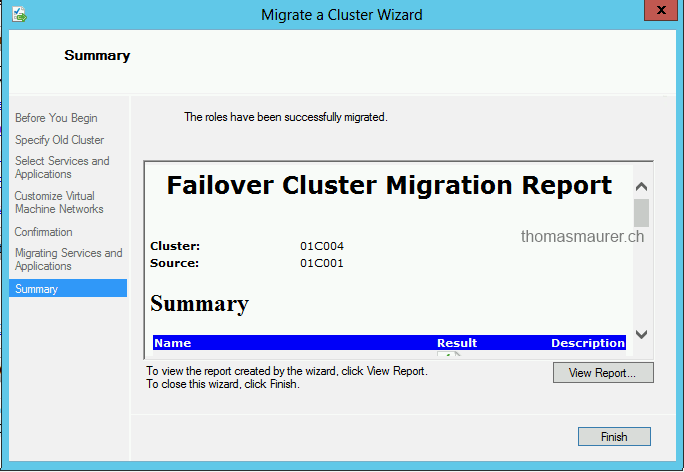 Check the resource and group state using Failover Cluster Manager or the Get-ClusterResource Windows PowerShell cmdlet. ‘Virtual Machine Configuration xxxxxxxxx’ failed to register the virtual machine with the virtual machine management service.